If you like the masculine Into the Woods II collection, make sure to download this free quilt pattern using these fabrics, "North Star," available on our website. 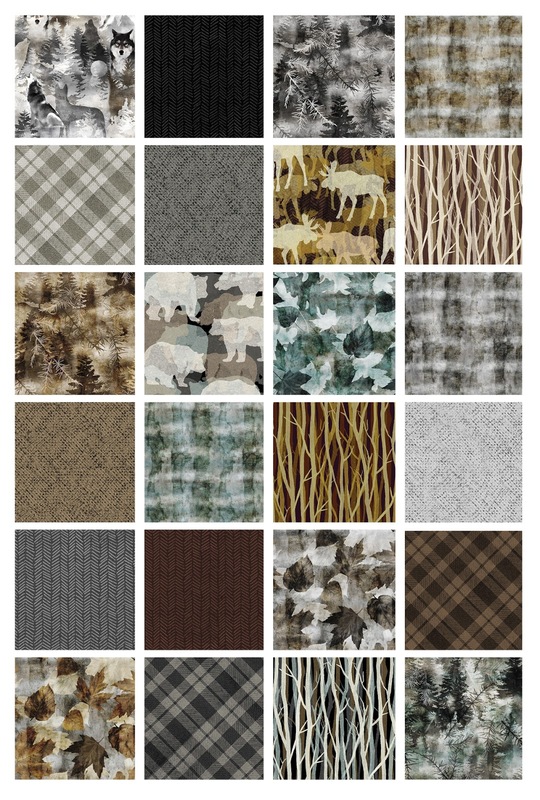 Looking for another masculine quilt design? 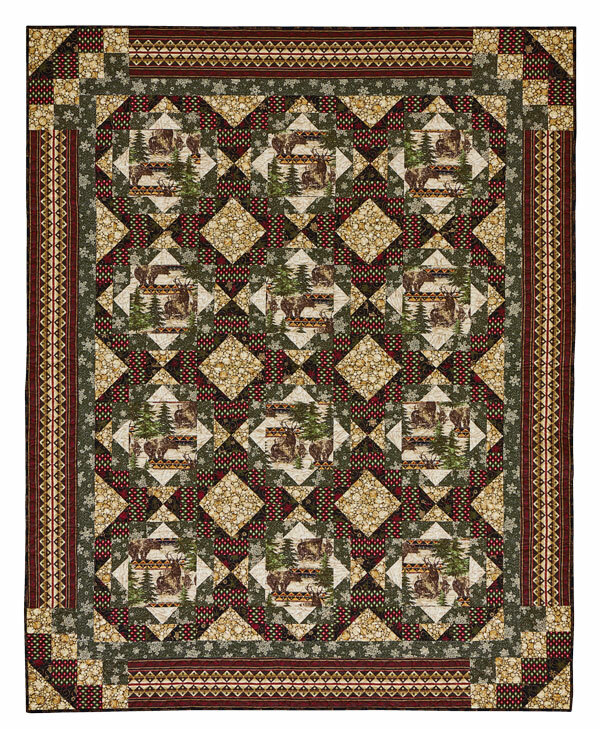 Check out the Lodge Living quilt by Joanie Holton and Melanie Greseth, featured in the December 2017 issue of American Patchwork & Quilting. 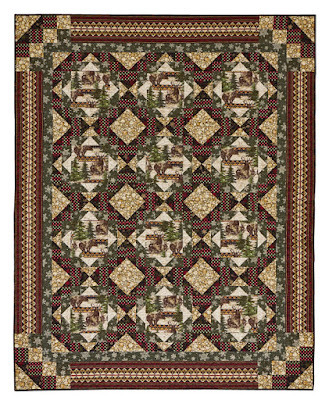 "Lodge Living" designed by Joanie Holton and Melanie Greseth. 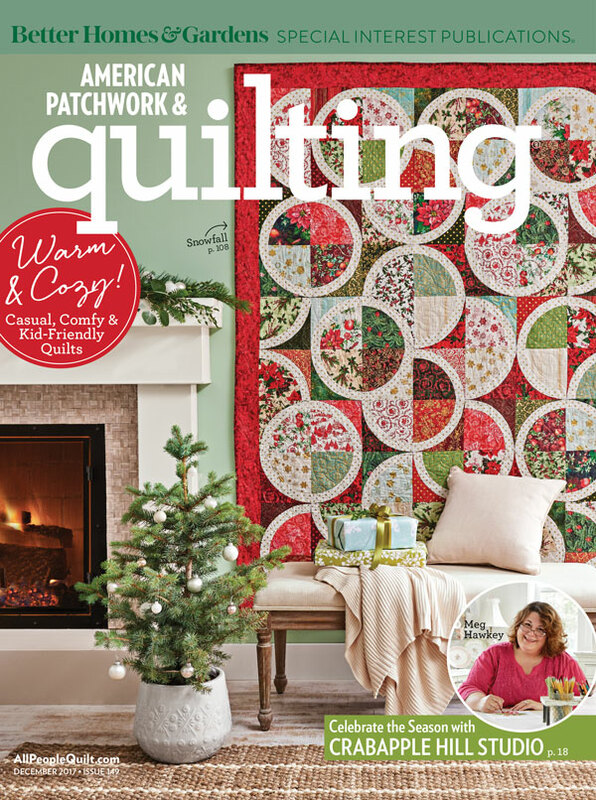 Used with permission from American Patchwork & Quilting magazine® . © 2017 Meredith Corporation. All Rights Reserved. See the Living Lodge collection here. 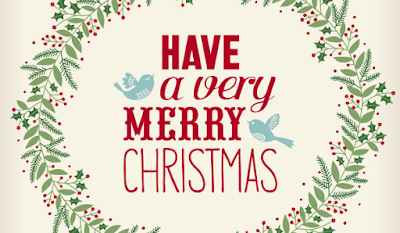 We at Benartex hope you and your family have a wonderful holiday season! Wishing you good times with family and friends! 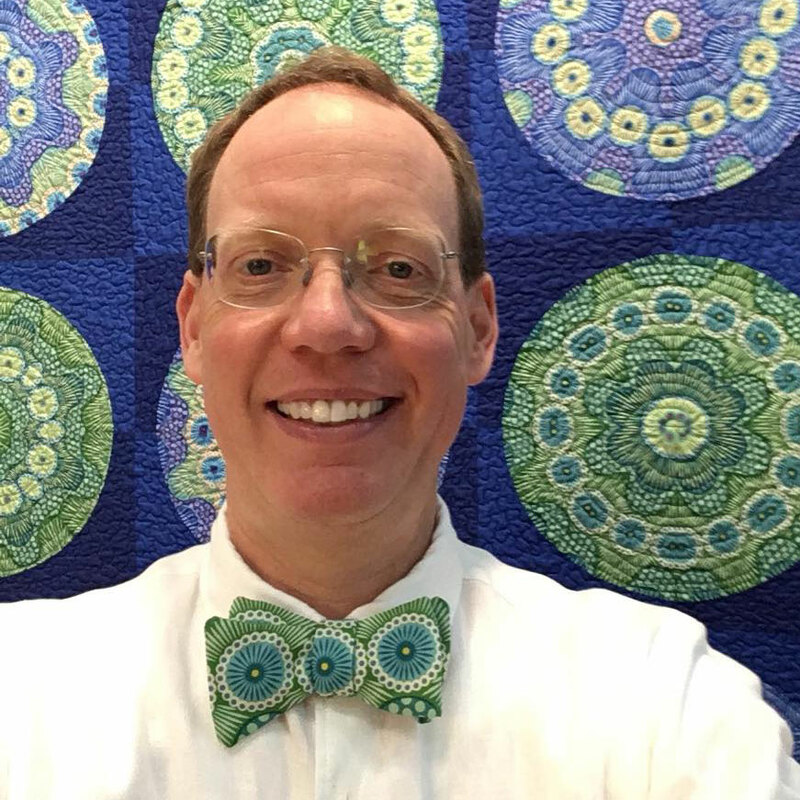 We may not all make it to Weeks and Bill's home studio, but we can certainly enjoy a virtual trunk show of their dot quilts! Sit back, relax, and scroll down! 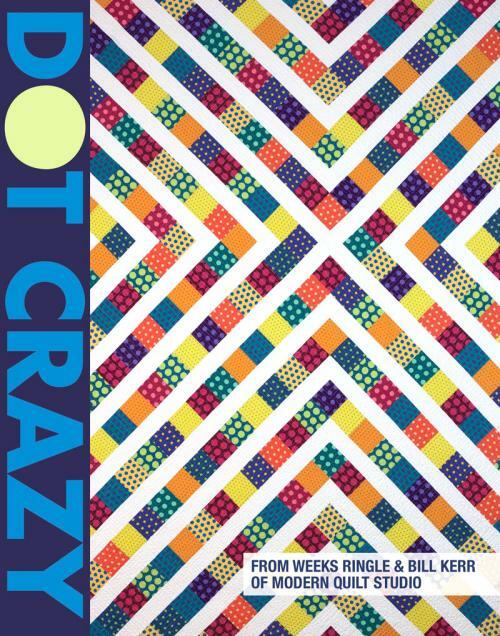 Patterns for all five of the featured quilts are included in the designers' Dot Crazy publication, available here. This is the quilt that inspired the fabric collection, remade in the Dot Crazy prints. We used just the dot fabrics from the collection for it. Using the Playground fabric is especially fun because you get two different dots in one from it. 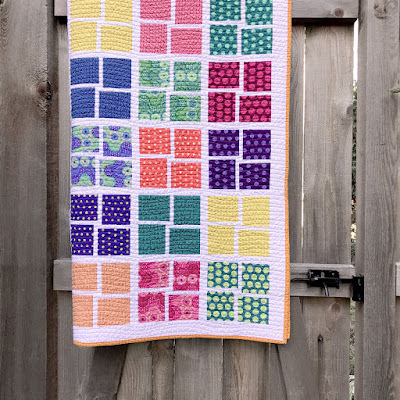 We love the use of the scraps for the pieced binding on this quilt. Bill had even more "fun" with Fun & Games with his new bowtie! 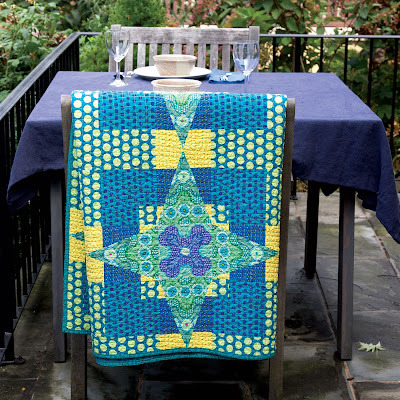 This quilt uses the beauty of fussy cutting combined with regular block construction. 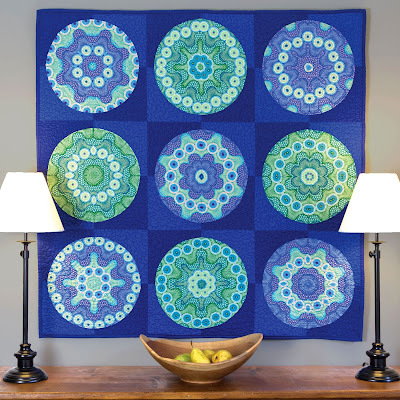 A new quilter could make this, but it will also appeal to an advanced quilter who is looking for a show stopper quilt. 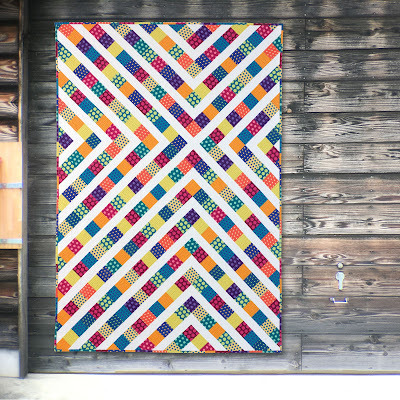 This quilt uses the playground fabric, cut selvedge to selvedge. 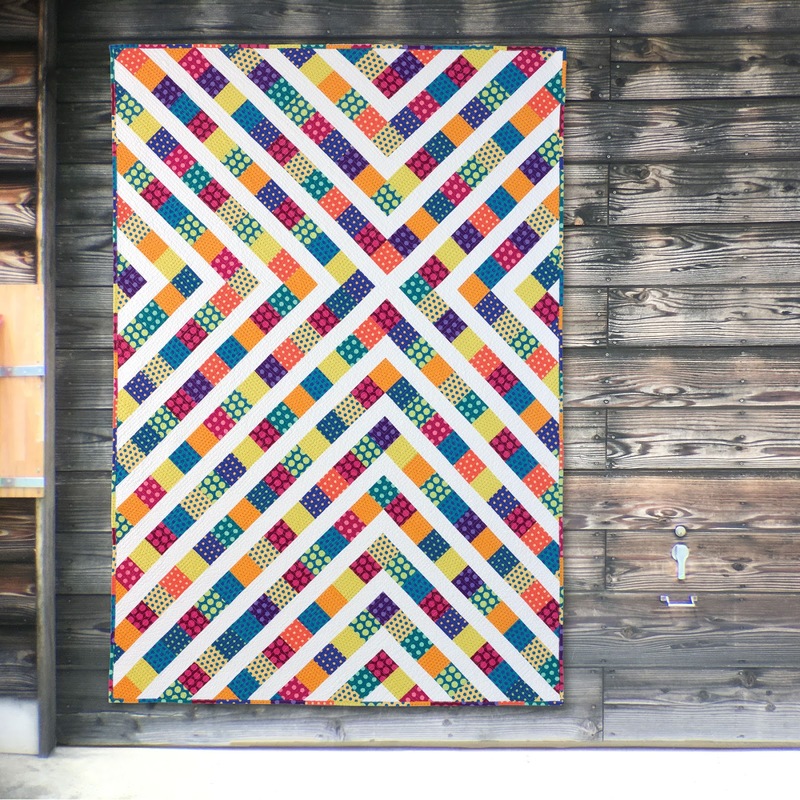 We designed the fabric to be able to make this quilt. There’s always a time when you need a last-minute baby quilt. 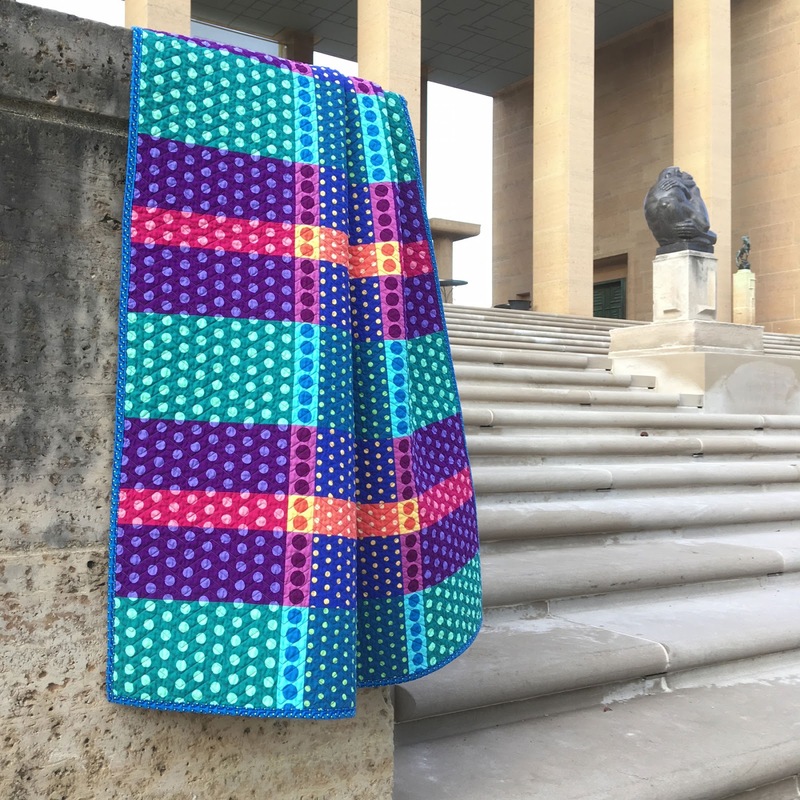 This has very few seams—it’s basically the modern version of a cheater cloth. 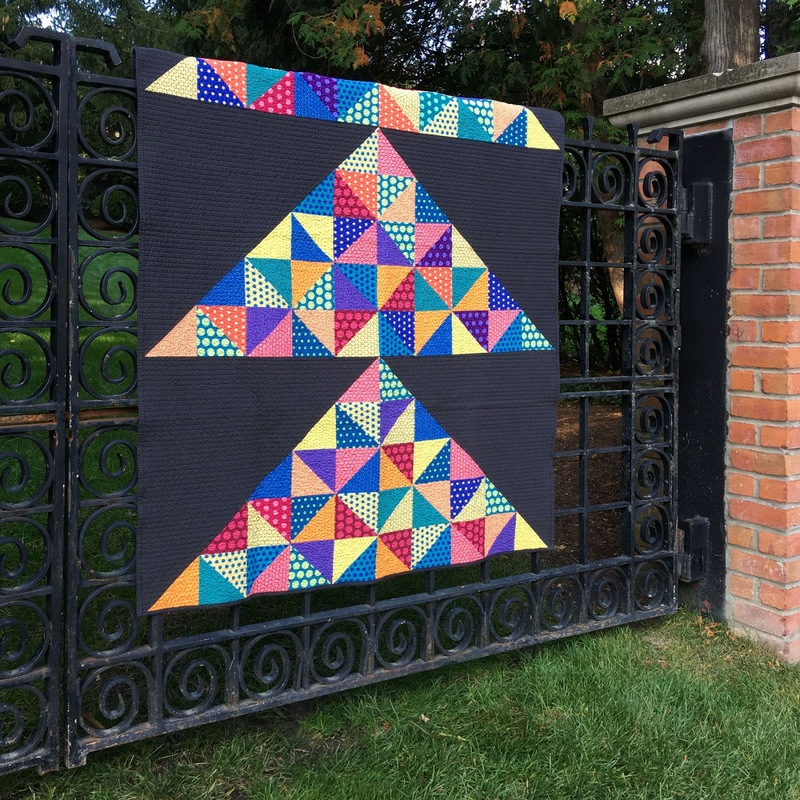 This quilt is made from giant flying geese that are broken down into triangles. We wanted to do something totally different—in shape, in scale, in palette. 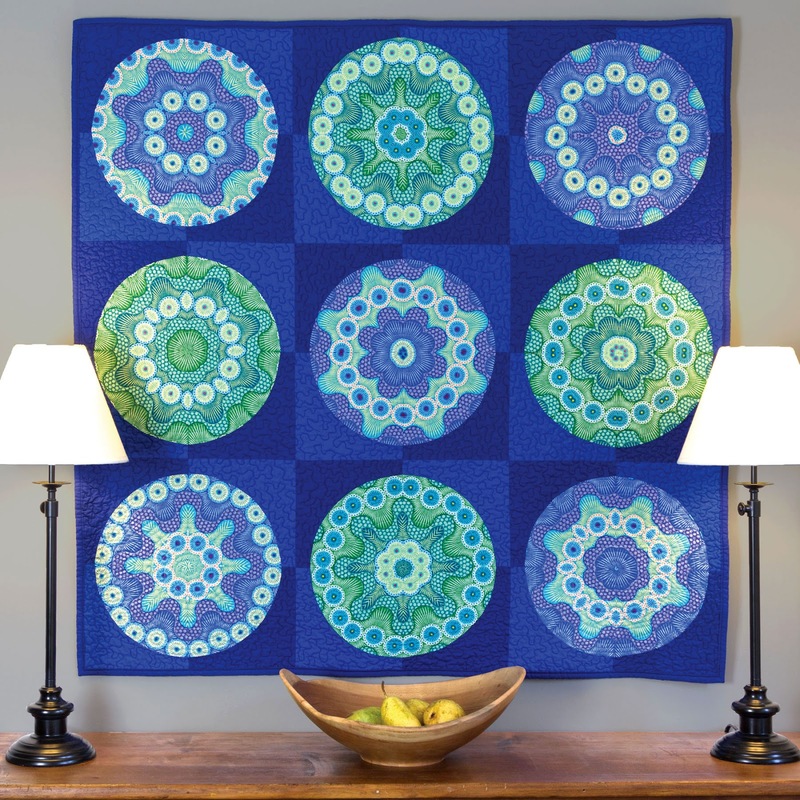 It’s such a great scale change from the finer lines of “On the Dot” or the delicacy of the “Crown Jewels” pattern, and it’s still easy enough for beginning quilters. This uses all the prints in the collection, so you can see how they play well together. 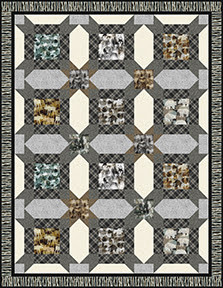 It’s great for using a fat quarter bundle (or ¼ yard cuts) of the entire line. Click here to find the "On the Dot" publication from Weeks and Bill's Modern Quilt Studio featuring the patterns shown in this post (except "Sleight of Hand," which is a free pattern download).